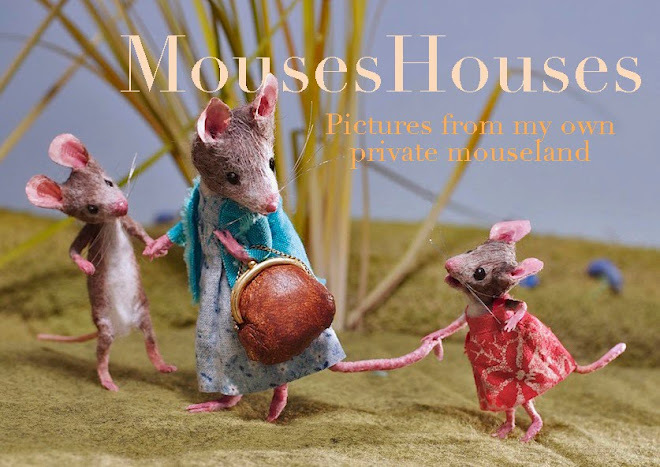 Mouseland's traveling days are over! 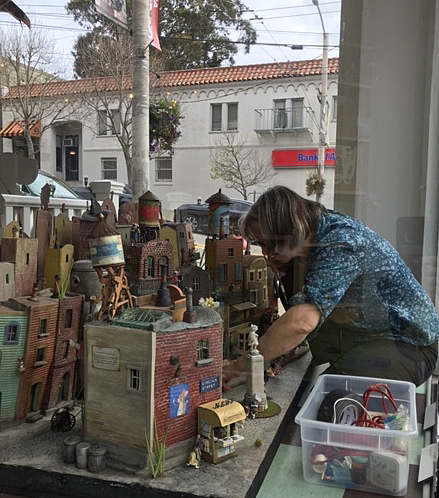 It has found a permanent home at Charlie's Corner Books in San Francisco, on the corner of 24th & Castro Street. 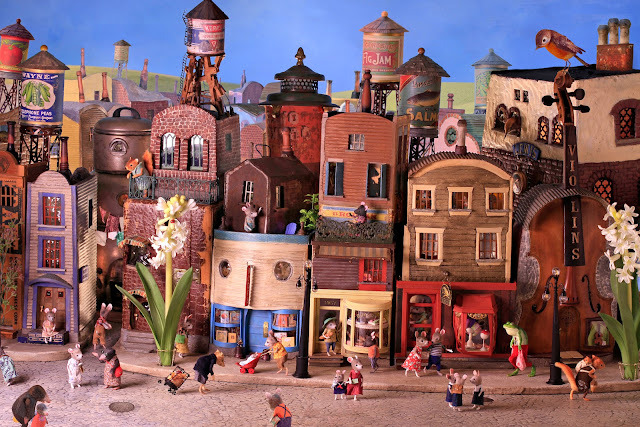 It's been enlarged and reconfigured for the space, with more buildings and characters added. 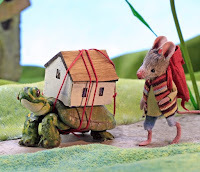 The diorama is a scene from my picture book, City Mouse, Country Mouse; a miniature city full of felt mice and other creatures going about their business among stores made of coffeepots, suitcase apartment buildings and tin can water towers. 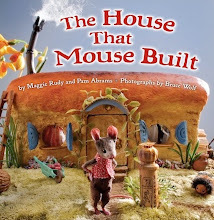 It is built almost entirely with scavenged and recycled materials. In the evening, tiny lights illuminate the windows and lampposts. It’s great to see the different views. Since I can’t visit it, at least I can see these and imagine! 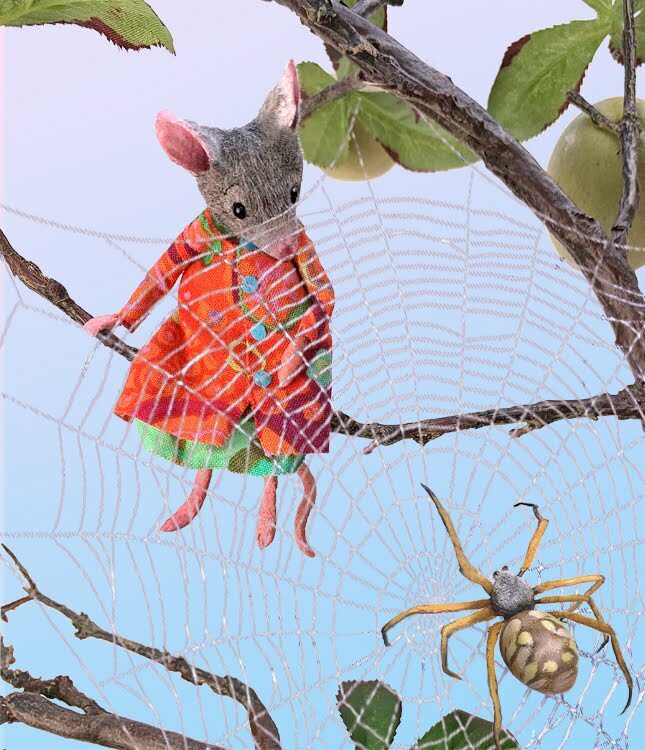 Thank you for sharing your wonderful creations. 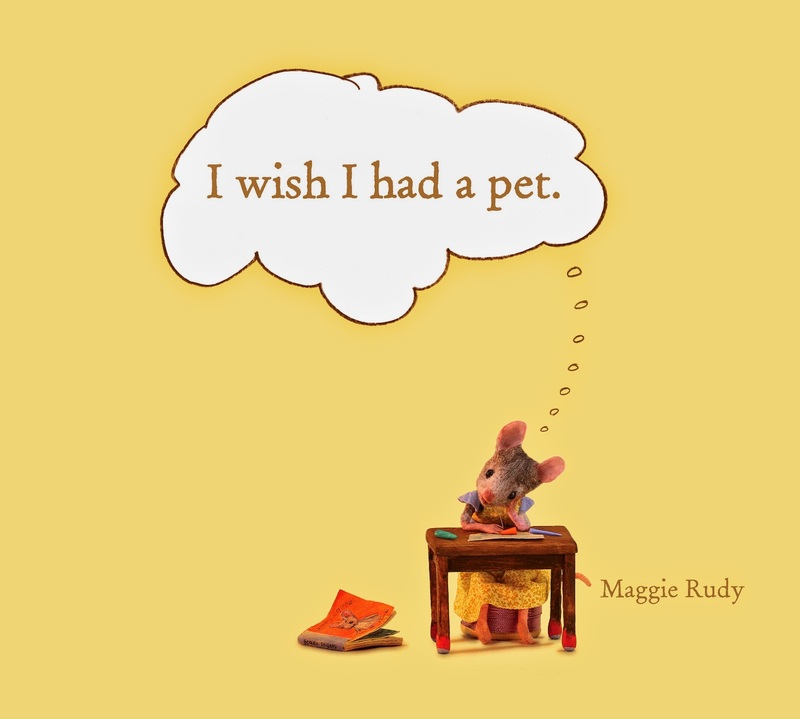 Such a fabulous idea, Maggie! Hooray! Enjoy every minute! Maggie, Your art work, which I got the privilege to see at Scraps, inspired me to write a short story. 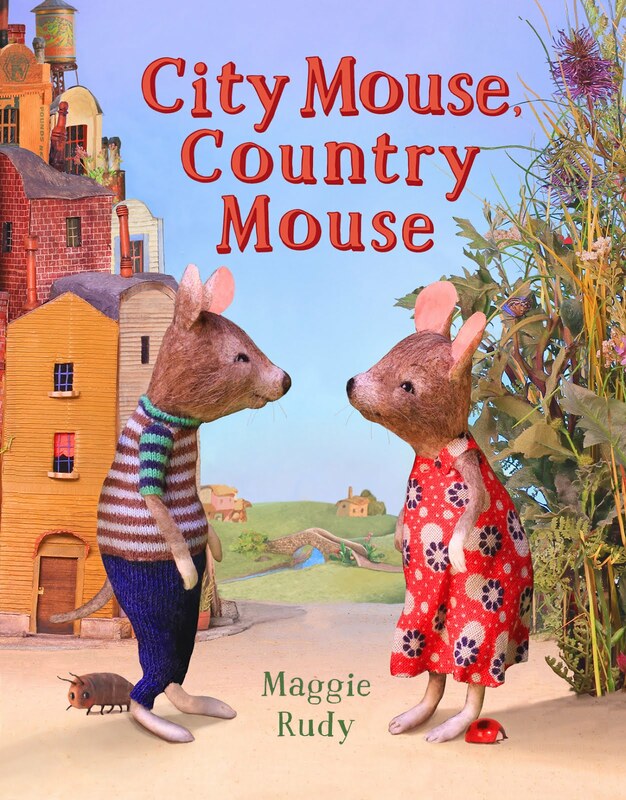 The city mouse and country mouse work is a thrill to see. So blessed to get to see it. I'm writing an article about SCRAP USA and would love to get some insights from an artist who gets material there. I'm at RobertaWax@gmail.com. I had the treat of seeing your amazing display at Treehouse Books in Ashland. It’s magical and wonderful. Inspired me to get 2 books for little readers and keep 1 for me. Cheers! That's wonderful! Thanks for letting me know. I hope you enjoy the books. Love love it! Thank you for sharing..
Could you please tell me where to find the pipe cleaners that you use please? I get the white cotton ones that are actually used to clean pipes. They come in a yellow cardboard sleeve, and you can buy them anyplace tobacco is sold. Thank you so much! Really nice of you. wanted to share what is in tv in Canada..